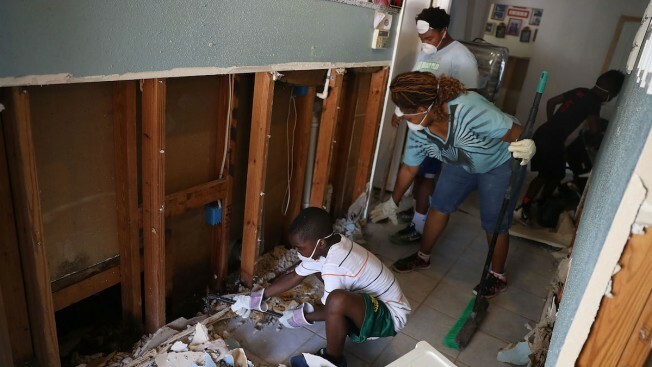 In this file photo, family and friends pull wet sheetrock off the walls of Verronica Hudson's property as they begin the process of rebuilding after torrential rains caused widespread flooding during Hurricane and Tropical Storm Harvey on Sept. 1, 2017, in Houston. Harvey, which made landfall north of Corpus Christi on Aug. 25, dumped around 50 inches of rain in and around areas of Houston and Southeast Texas. Health officials say the death this month of a 31-year-old Galveston man is the result of Hurricane Harvey because he was doing repair work to clean up from the storm when he contracted a flesh-eating bacterial infection. 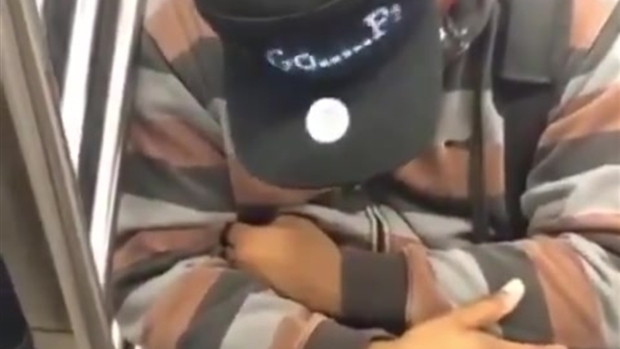 Josue Zurita went to the hospital Oct. 10 with a serious infection to his arm and died six days later. Dr. Philip Keiser with the Galveston County Health District says bacteria from Harvey debris or floodwater entered the man's body through a wound or cut. Zurita, a carpenter, was working on repairing damaged homes when he contracted the rare infection, which kills soft tissue. State and local authorities have tallied at least 80 Harvey-related deaths in flood-affected areas since the storm hit Aug. 25.